* By making Initial or Final Submission I / We hereby represent and warrant that I / We agree to all the Terms and Policies of International Journal of Scientific Research and Engineering Development (IJSRED). * I / We hereby represent and warrant that I / We is / any Email received by or sent to International Journal of Scientific Research and Engineering Development (IJSRED) will remain private and no content of it will be displayed / posted / shared in Print or Online media in any situation. * I / We hereby represent and warrant that the paper is original and that I / We is / are the real author(s) of the paper, except for material that is clearly identified as to its original source, with permission notices from the copyright owners where required. 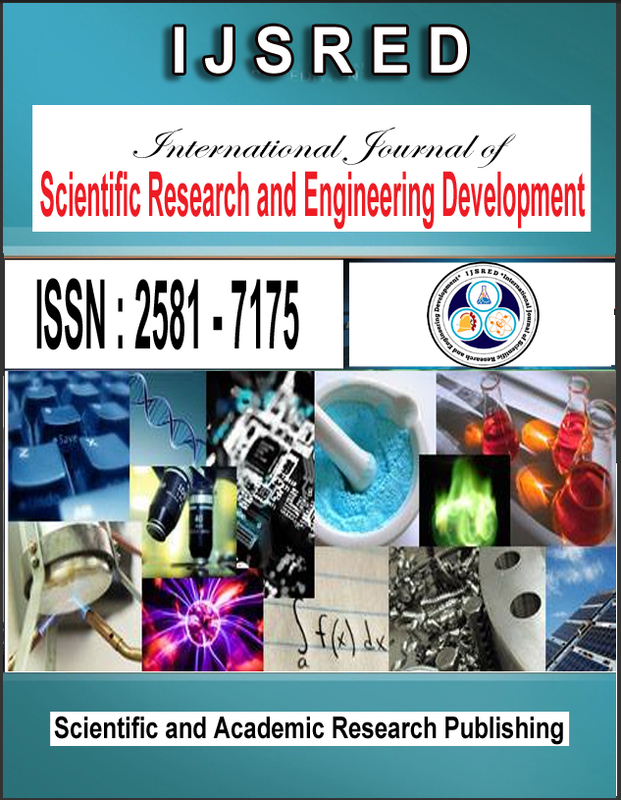 * I / We are aware that International Journal of Scientific Research and Engineering Development (IJSRED), www.ijsred.com is registered with National Science Library with ISSN (Online): 2581-7175. * I / We represent that I / We have taken the consent from our University / Institution / Employer / Project Guide / Supervisor / Research Committee before publishing our article with International Journal of Scientific Research and Engineering Development (IJSRED). * I / We represent that I / We have taken the consent from our Co Authors before publishing our article with International Journal of Scientific Research and Engineering Development (IJSRED). * I / We confirm that we are satisfied with Authenticity / Validity / Originality of International Journal of Scientific Research and Engineering Development (IJSRED) and in case of refusal of our publication by our University / Institution / Employer / Project Guide / Supervisor / Research Committee, I / We will not ask for refund or pursue any legal action against said personalities or International Journal of Scientific Research and Engineering Development (IJSRED), India for the same. * I / We fully understand the Terms and Conditions / Policies given by International Journal of Scientific Research and Engineering Development (IJSRED). * I agree to pay *Post Publication Correction charges as mentioned on www.ijsred.com if these corrections are brought to notice or requested after 3 days of publication of the paper (One time request only). * I / We accept that in case of any Copyright Infringement claim being filed and proven against my / our published article in future, then International Journal of Scientific Research and Engineering Development (IJSRED), India have complete rights to remove my / our article from the index immediately without prior notice, and I / We will not ask for refund or pursue any legal action against said personalities or International Journal of Scientific Research and Engineering Development (IJSRED), India for the same. * Only I / We are responsible for impact / outcomes of this publication decision and I / We will not ask for refund or pursue any legal action against said personalities or International Journal of Scientific Research and Engineering Development (IJSRED), India for the same. * International Journal of Scientific Research and Engineering Development (IJSRED) shall not take any accountability for the contents of articles published in the journal and all such liability shall lie with the author/s. * The opinions expressed in the articles are exclusively of the author/s and International Journal of Scientific Research and Engineering Development (IJSRED) may not agree with such opinions in part or in full. All the articles submitted for publication in International Journal of Scientific Research and Engineering Development (IJSRED) are peer reviewed for genuineness, moral issues and effectiveness. *Decision of the reviewers shall be held final. Authors are solely responsible for uniqueness of the published work. 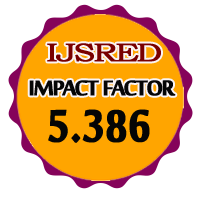 International Journal of Scientific Research and Engineering Development (IJSRED) shall advocate the highest ethical standards of scientific and research publications. *The Journal retains the copyrights of all material published in the issue. However, reproduction of the published material in the part or total in any form is permitted with due acknowledgement of the source as per ethical norms.